The mission of the Artists of Texas is to celebrate, advance and promote art in the State of Texas. Artists of Texas is committed to providing art education opportunities, scholarships, painting workshops, marketing and technological support, and encouragement to its members, at all levels of membership. Levels of membership include Master Signature, Signature and Professional, and members must be current residents of the State of Texas. 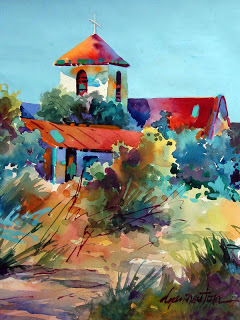 The Artists of Texas was founded in Spring 2009 by Laurie Justus Pace, Debbie Grayson Lincoln and Vernita Bridges Hoyt. Membership has grown from 35 members that first year to over 150 juried in professional artists. With AOT volunteer members doing most of the work, AOT keeps its membership fees at a minimum and offers artists the opportunity to exchange and share marketing techniques and ideas. The collected dues cover the cost of our websites and help with our shows each year. Please read the terms of agreement here.